I've missed Myron, but this isn't quite right. 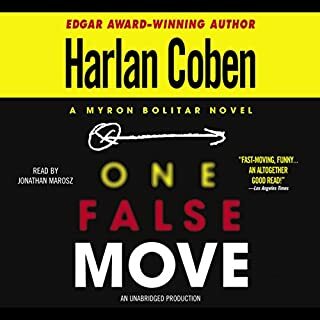 As good as many of the Myron Bolitar stories, though there are others in the series I like more. 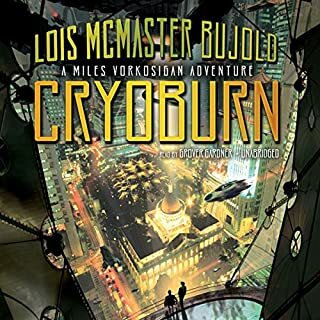 The narrator was painfully bad, though, reading every sentence as a declarative statement without much variation in pace or tone. Entertaining steampunk, suitable for teens or adults. Excellent narration too. 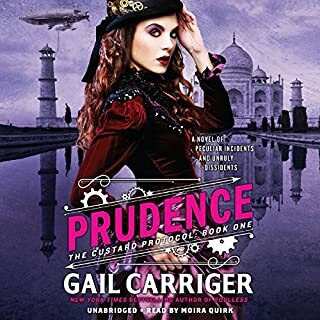 This story features the adult daughter of the protagonists from the Parasol Protectorate series, which I also recommend. Earth is conquered. The Shongairi have arrived in force, and humanity’s cities lie in radioactive ruins. In mere minutes, over half the human race has died. 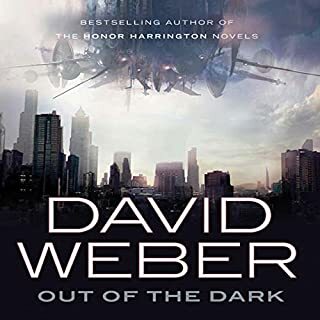 Now Master Sergeant Stephen Buchevsky, who thought he was being rotated home from his latest tour in Afghanistan, finds himself instead prowling the back country of the Balkans, dodging alien patrols and trying to organize the scattered survivors without getting killed. Anyone who knows the Weber family will recognize the author's self-portrayal in the Dvorak family. I will admit I did not see the ending co.ing, and the aliens were a nicely-developed set of characters. I started this book as research for a project, expecting to merely collect facts. 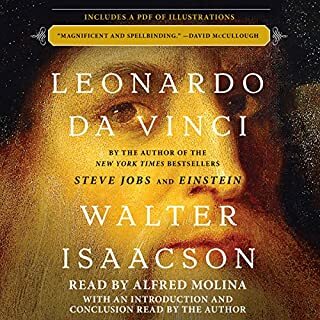 instead I lost sleep because I listened far past bedtime, sat in parking lots instead of running errands, and fell in love with Da Vinci. The author brings this brilliant polymath and his world to vivid life. As a procrastinating, ADHD sufferer with my own burning curiosity about pretty much everything (except golf) I was inspired and vindicated by Da Vinci, while learning more about how to emulate him. I plan to listen to this author's Benjamin Franklin biography next. After I get those errands done and have a nap! 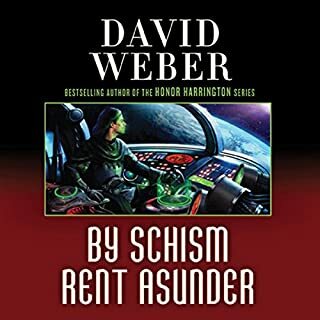 In this sequel to the novella Penric's Mission, the injured Penric, a Temple sorcerer and learned divine, tries to guide the betrayed General Arisaydia and his widowed sister, Nikys, across the last 100 miles of hostile Cedonia to safety in the Duchy of Orbas. 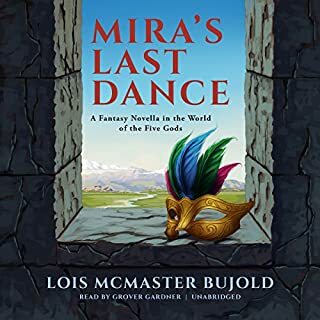 In the town of Sosie, the fugitive party encounters unexpected delays, and even more unexpected opportunities and hazards, as the courtesan Mira of Adria comes to the fore with her own special expertise. My favorite author read by my favorite narrator. I nust wish the story could go on. Can't wait for the next one. Like his legendary Honor Harrington books, Weber's Safehold series will transport you to a world you won't want to leave. Not can this guy tell a story! The narration is good, too, with varied accents and good vocal range for both men and women. This is definitely a case when Whispersync is your friend. Once again, the Kingdom of Gwynedd under young King Kelson found itself facing the horror of war between the Church and the Deryni. As the Pretender Queen plotted to free Meara from Gwynedd's control, and the ex-Archbishop hatched a devious plan, it looked like the peace of Gwynedd was to be a thing of the past. reader made me crazy. he over-enunciated every word and paused a bit after each. it was a bit like listening to William Shatner. A lovely book where Miles' unique talents once again serve his Emperor. Warning--moves the story ahead to places you don't want to be out of sequence. Read it in timeline order. 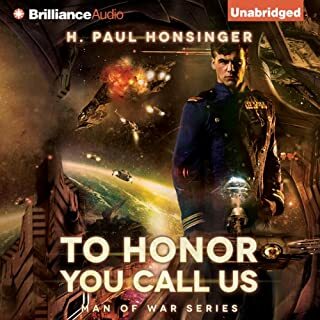 Honsinger's Man of War series is what good military science fiction ought to be. Believable world building, admirable three-dimensional characters, and a conflict that matters. 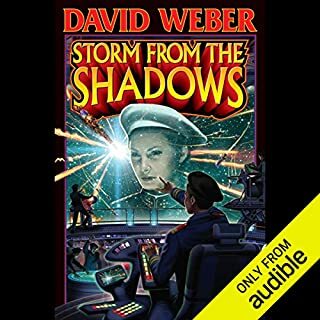 Honsinger realizes his technology with all the thoroughness of a David Weber, (but without the extreme detail that some readers find daunting) while his characters are more reminiscent of Johnny Rico and his fellows in Starship Troopers. The stories have a good balance between background and action, and the detail is just right on the tech and history. The only negative part is the reader, who is a little too excited by every sentence. Perhaps he got his start in TV commercials, where he only had 60 seconds and everything was immediate and important? 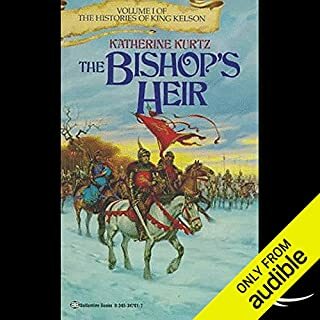 The books are good enough that I got the Kindle, paperback and audio formats, and have read them through at least three times. I eagerly await the second trilogy from this exciting new voice in military sci-fi. Now where is Baen to snap him up, I ask?